This man is a living legend. 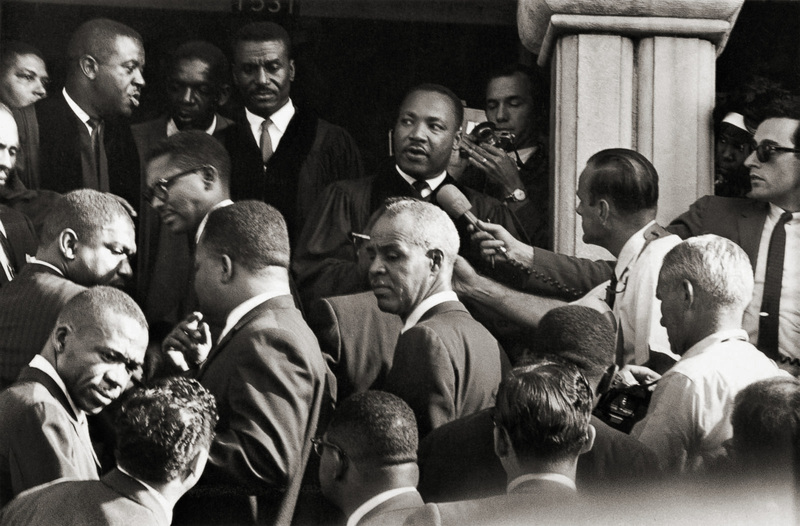 What a strong body of socially conscious work he has produced over a long period of time. Each series proposes further insight into the human condition – and adds ‘value’ to series that have gone before. It is a though the artist possesses the intuition for a good story and the imagination to photograph it to best advantage, building the story over multiple encounters and contexts to form a thematic whole. 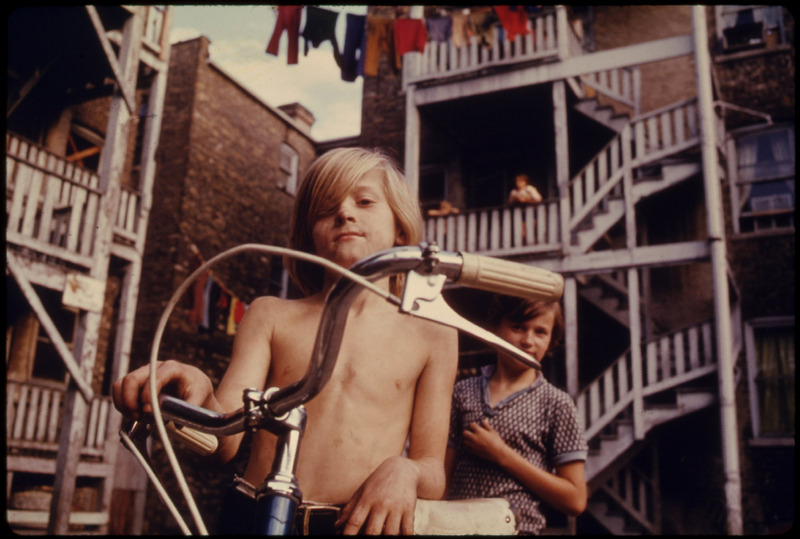 While the observation is correct that the artist immerses himself in the cultures and communities he documents, this is different to the tradition of Robert Frank and to a lesser extent, Walker Evans. 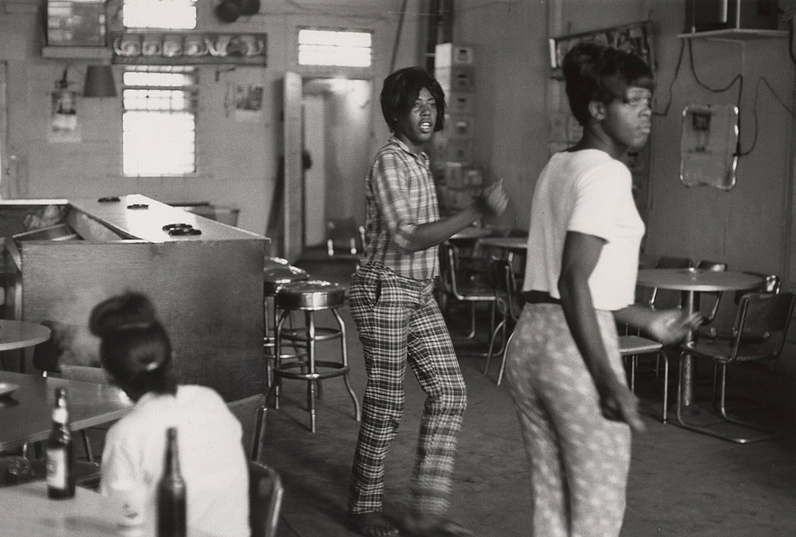 Frank was a Swiss man who imaged his impressions of America on a road trip across the country. 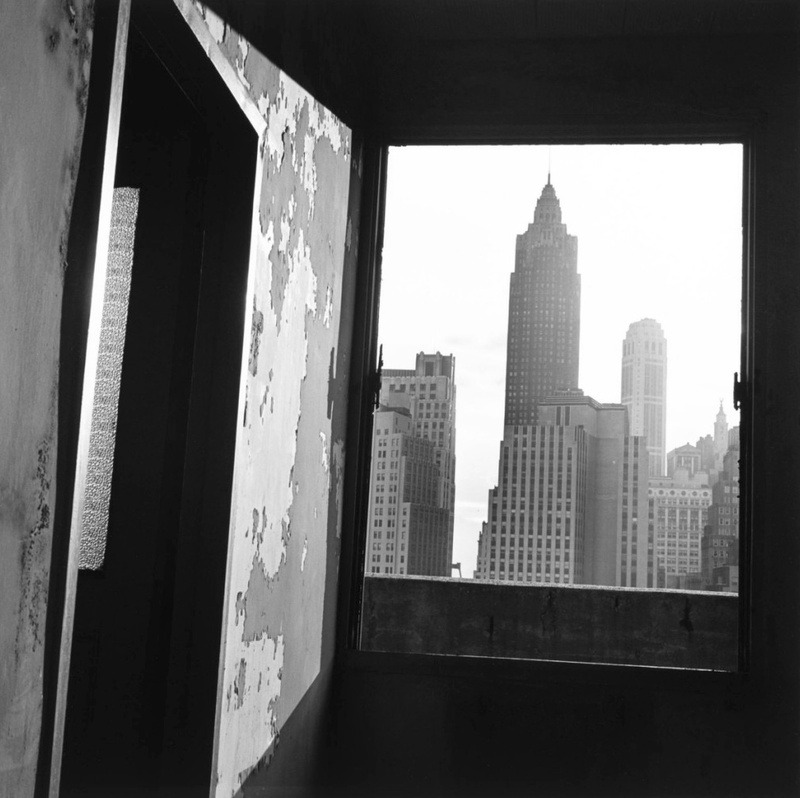 His “photographs were notable for their distanced view of both high and low strata of American society” which pictured the culture as both alienating and strange, “skeptical of contemporary values and evocative of ubiquitous loneliness”. This is why The Americans had so much power and caused so much consternation when it was first released in 1959 in America, for it held up a mirror to an insular society, one not used to looking at itself especially from the position of an “outsider” – where the tone of the book was perceived as derogatory to national ideals – and it didn’t like what it saw. 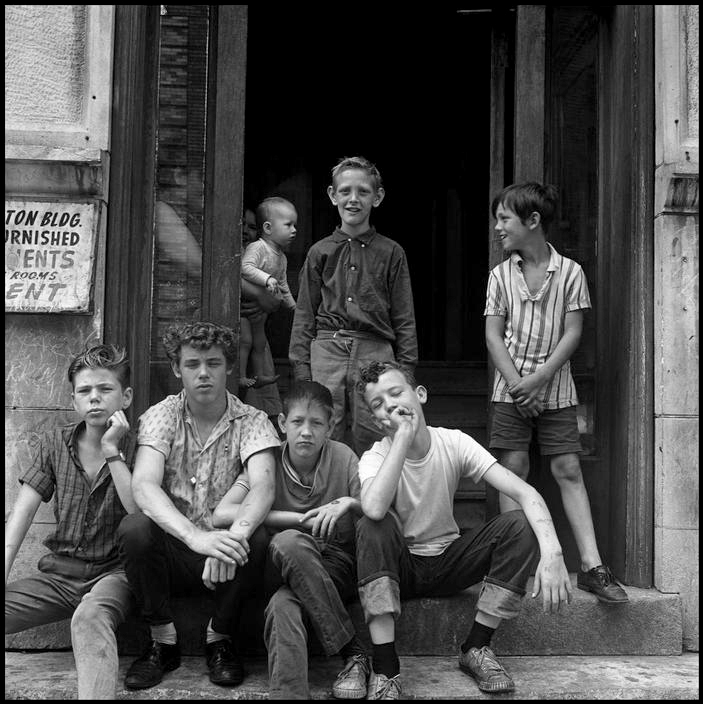 The American Walker Evans was also an outsider photographing outsiders, journeying through disparate towns and communities documenting his impressions how I can I say, subjectively with an objective focus, at one and the same time. He never immersed himself in the culture but was an active observer and documenter, never an insider. 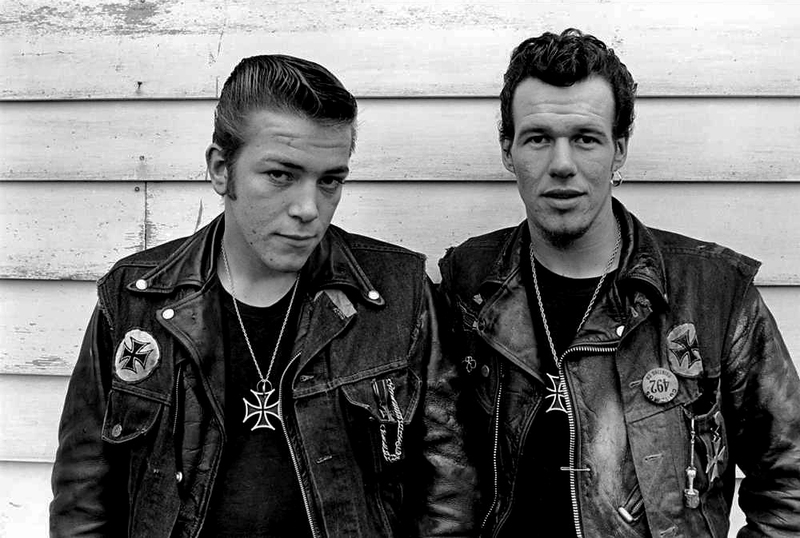 Having said that, can you imagine living the life, spending four years as a member of the Chicago Outlaw Motorcycle Club. 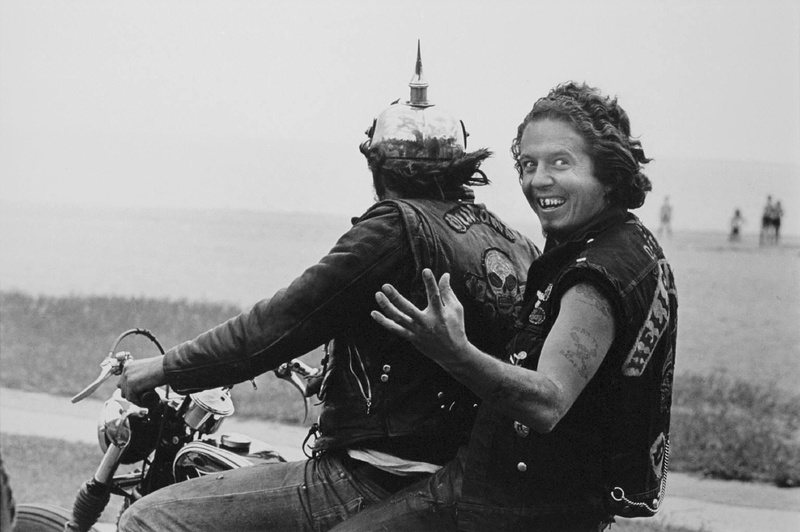 How exhilarating, how enmeshed with the culture you would become – the people, the travel, the ups and downs, the life, the danger – and then when you get photographs like Funny Sonny Packing with Zipco, Milwaukee (1966, below) with the manic look in Funny Sonny’s eyes, how your heart would sing. 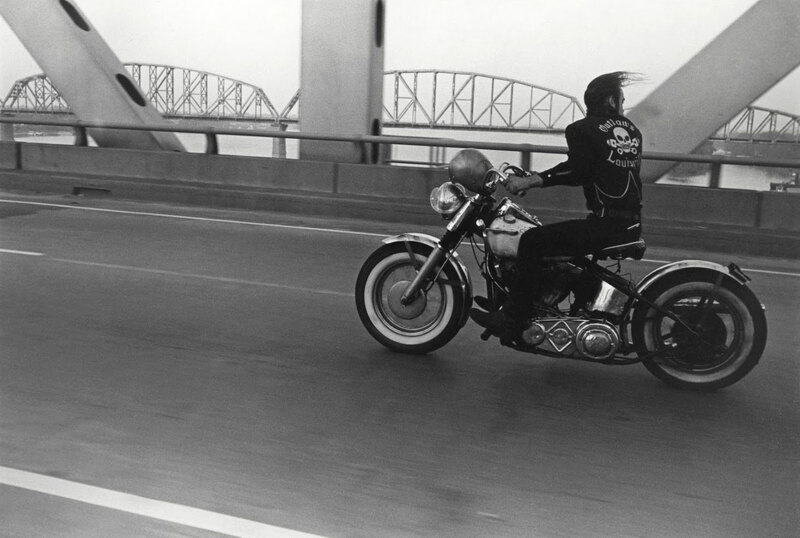 If I had to nominate one image that is for me the epitome of America in the 1960s it would be this: Crossing the Ohio River, Louisville (1966, below): all Easy Rider (an 1969 American road movie) encapsulated in one image. The structure and modernism / of the two bridges frames / the speeding / wicked bike / helmet lodged over the headlight; the man / wearing a skull and crossbones emblazoned jacket / helmet-less / head turned / behind / hair flying in the wind / not looking where / he is going / as though his destiny: unknown. 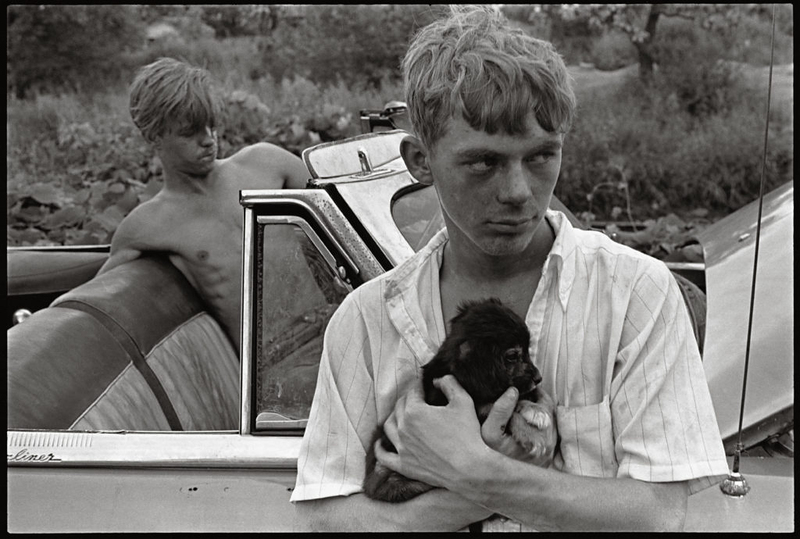 Danny Lyon IS one of the great artists working in photography today. He is a rebel with his own cause. 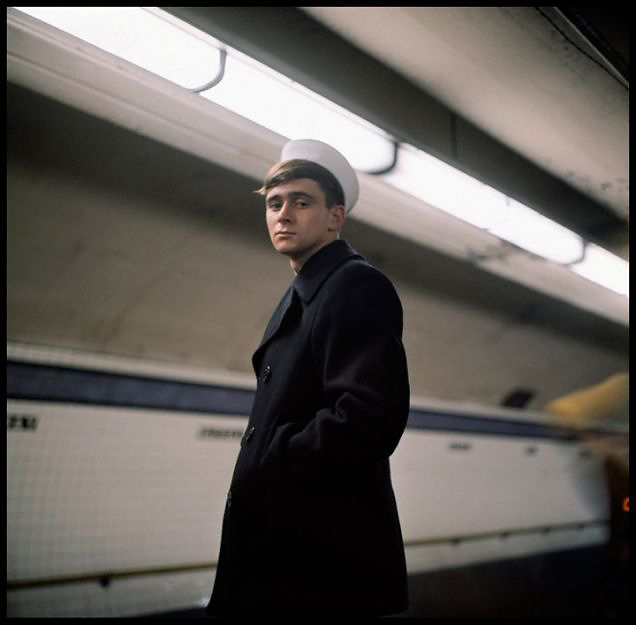 Through his vital and engaging images his message to the future is this: everyone has their own story, their own trials and tribulations, each deserving of empathy, compassion, and non-judgemental acceptance. 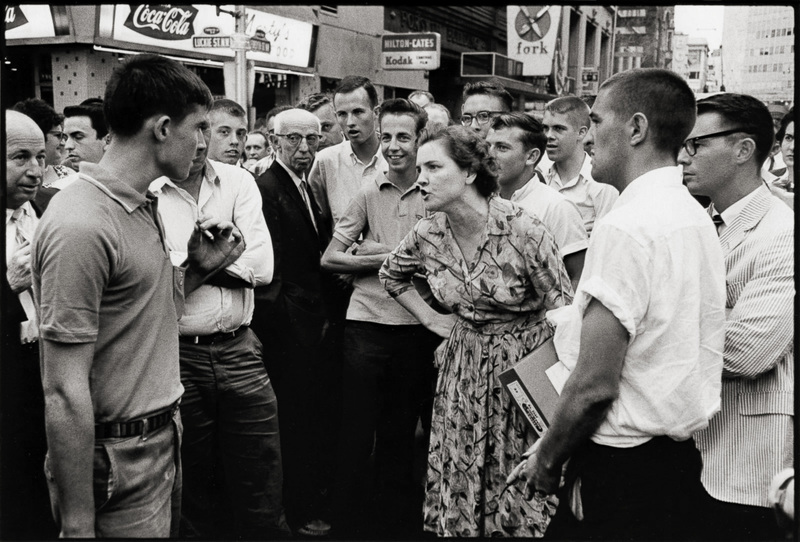 Prejudice has no voice here, a lesson never more pertinent than for America today as it decides who to elect – a woman who has fought every inch of the way or a narcissistic megalomaniac who preaches hate to minorities. 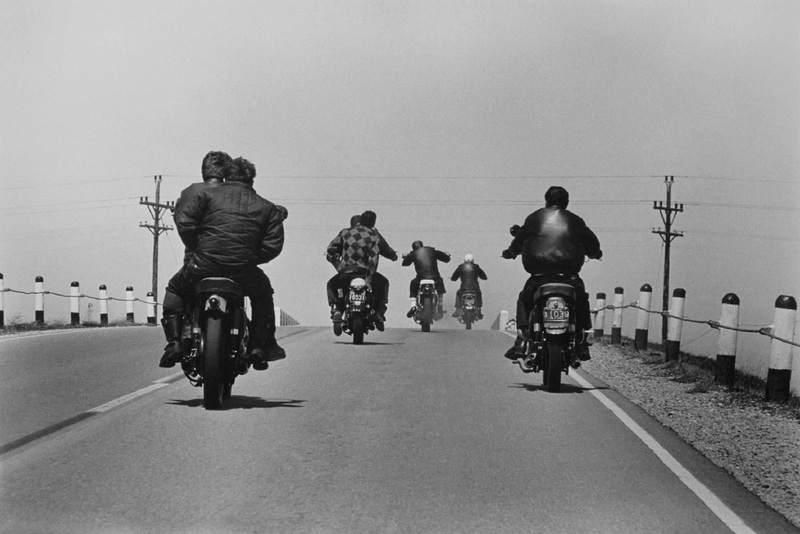 “The most comprehensive retrospective of the work of American photographer, filmmaker, and writer Danny Lyon in twenty-five years debuts at the Whitney on June 17, 2016. 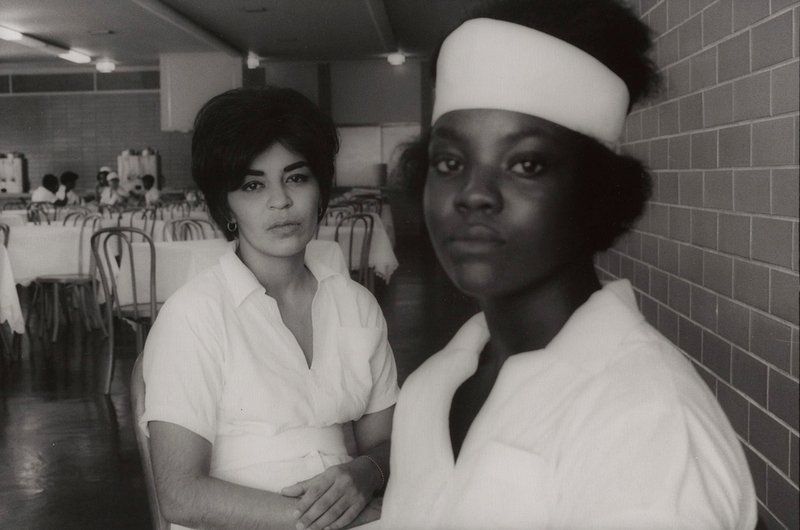 The first major photography exhibition to be presented in the Museum’s downtown home, Danny Lyon: Message to the Future is organized by the Fine Arts Museums of San Francisco, where it will make its West Coast debut at the de Young Museum on November 5, 2016. 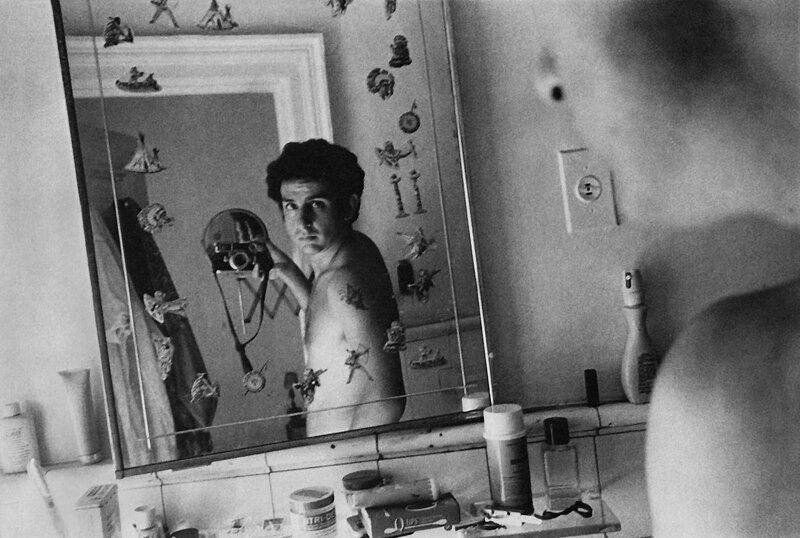 The exhibition assembles approximately 175 photographs and is the first to assess the artist’s achievements as a filmmaker. 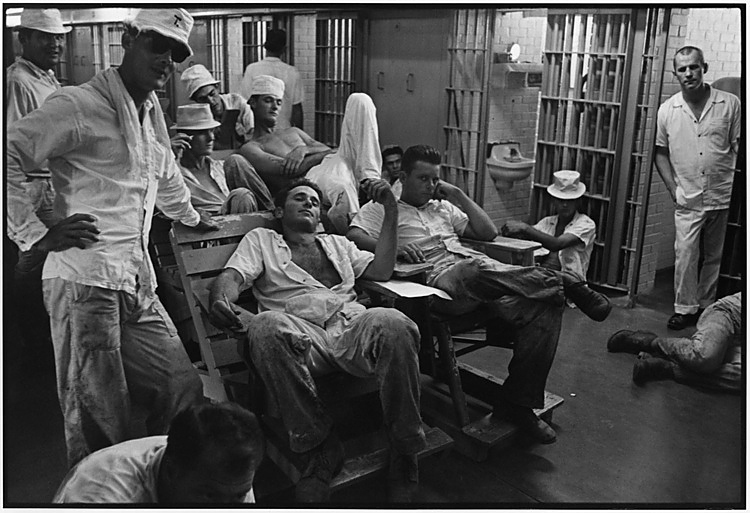 The presentation also includes a rare look at works from Lyon’s archives, including vintage prints, unseen 16mm film footage made inside Texas prisons, and his personal photo albums. 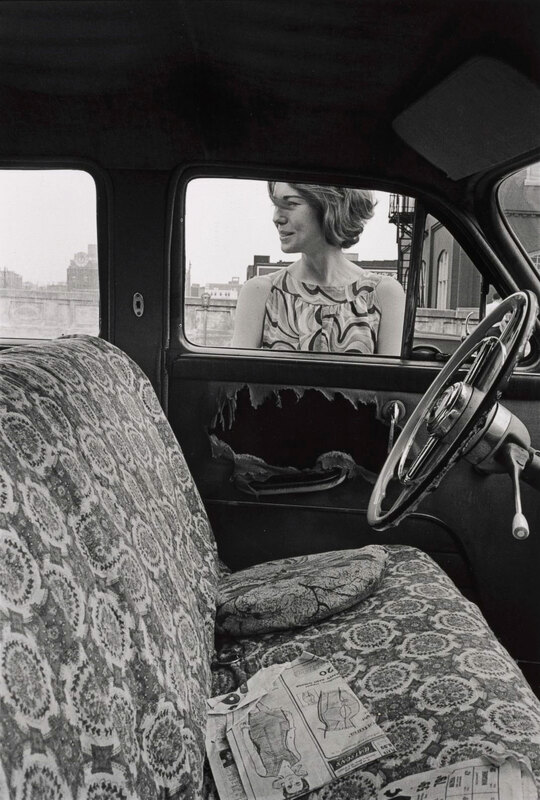 A leading figure in the American street photography movement of the 1960s, Lyon has distinguished himself by the personal intimacy he establishes with his subjects and the inventiveness of his practice. 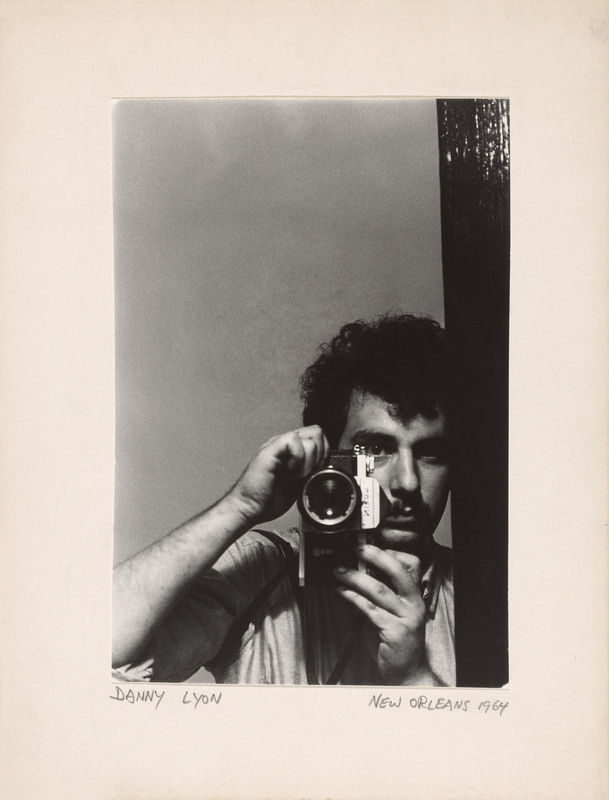 Photographer, filmmaker, and writer Danny Lyon (b. 1942) has over the past five decades presented a charged alternative to the sanitized vision of American life presented in the mass media. Throughout, he has rejected the standard detached humanism of the traditional documentary approach in favor of a more immersive, complicated involvement with his subjects. “You put a camera in my hand,” he has explained, “I want to get close to people. Not just physically close, emotionally close, all of it.” In the process he has made several iconic bodies of work, which have not only pictured recent history but helped to shape it. 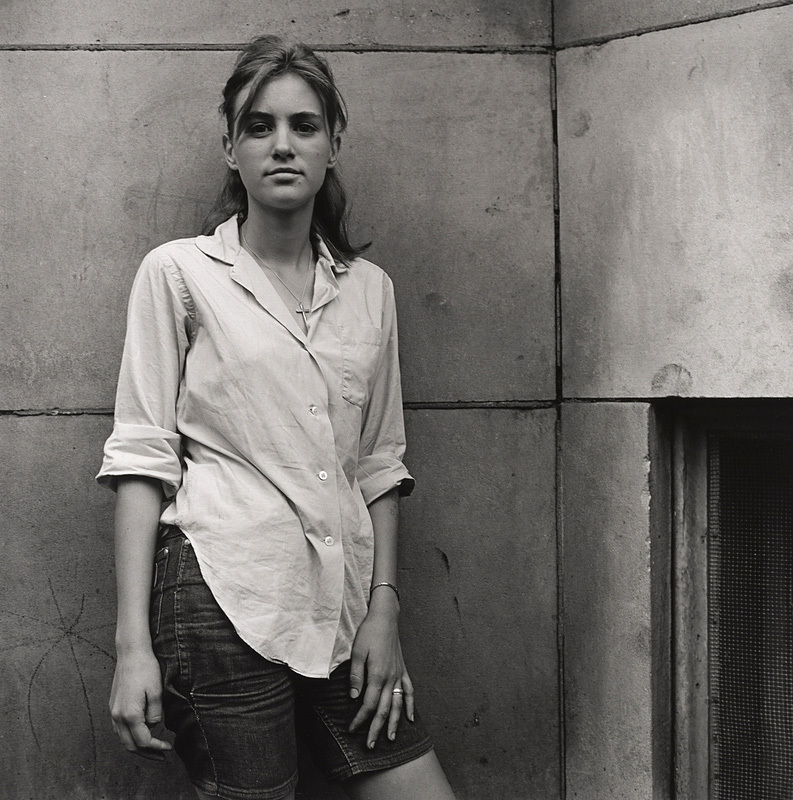 Lyon committed intensively to photography from the beginning. 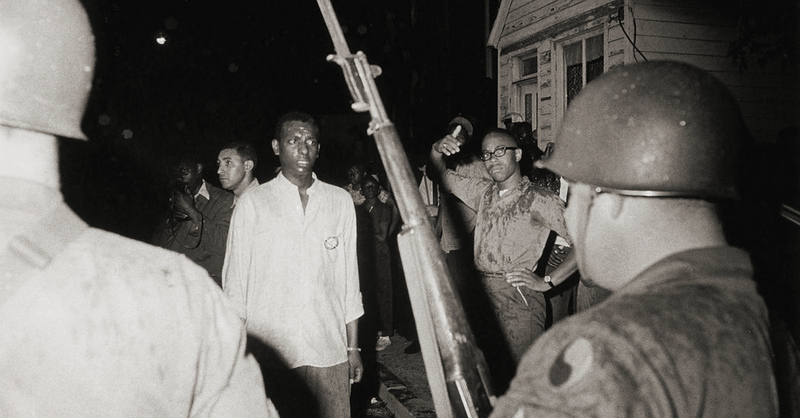 In 1962, while still a student at the University of Chicago, he hitchhiked to the segregated South to make a photographic record of the civil rights movement. 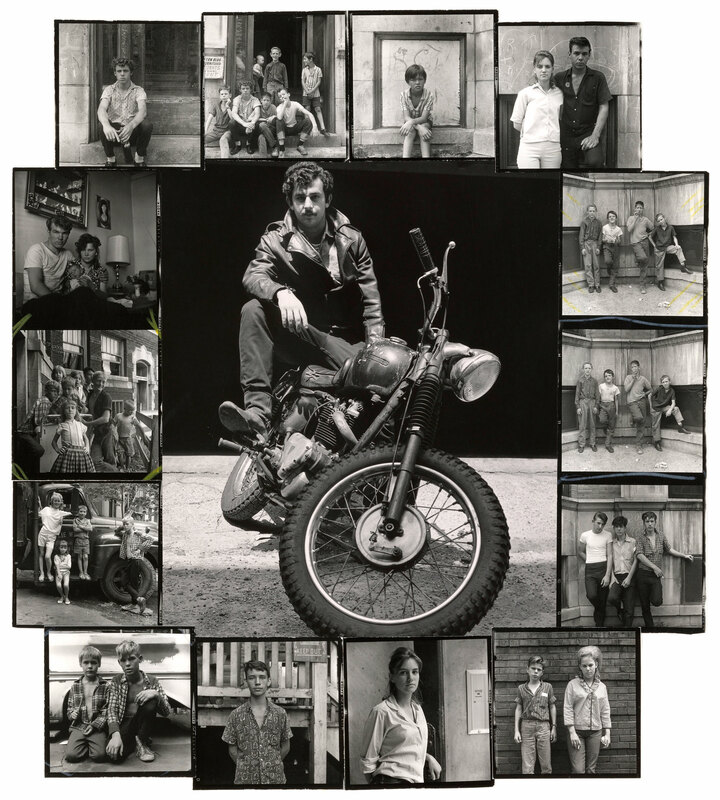 He went on to photograph biker subcultures, explore the lives of the incarcerated, and document the architectural transformation of Lower Manhattan. 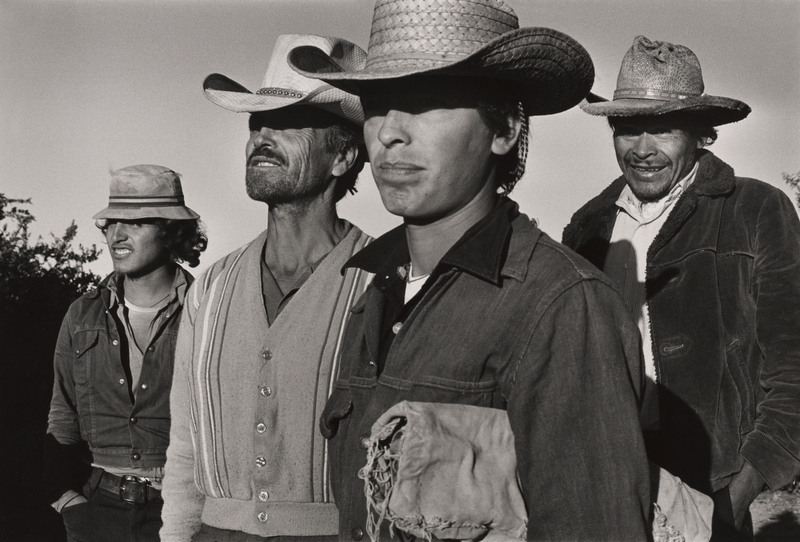 He has traveled to Latin America and China, and has lived for years in New Mexico; the work he has made throughout these journeys demonstrates his respect for the people he photographs on the social and cultural margins. 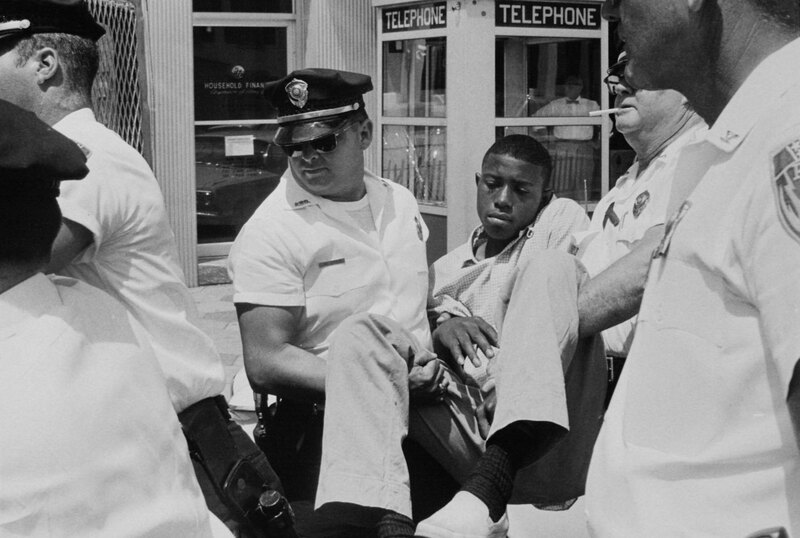 In the summer of 1962, Lyon hitchhiked to Cairo, Illinois, to witness demonstrations and a speech by John Lewis, chairman of the Student Nonviolent Coordinating Committee (SNCC), one of the most important organizations driving the civil rights movement of the early 1960s. 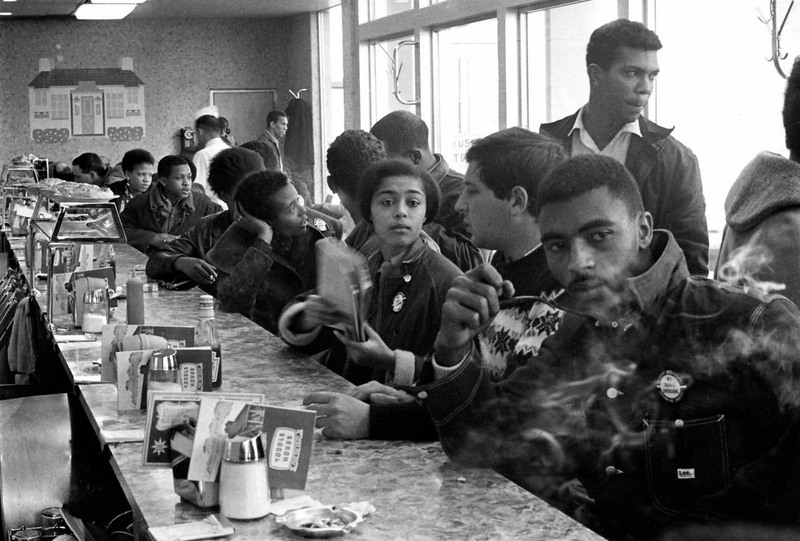 Inspired to see the making of history firsthand, Lyon then headed to the South to participate in and photograph the civil rights movement. 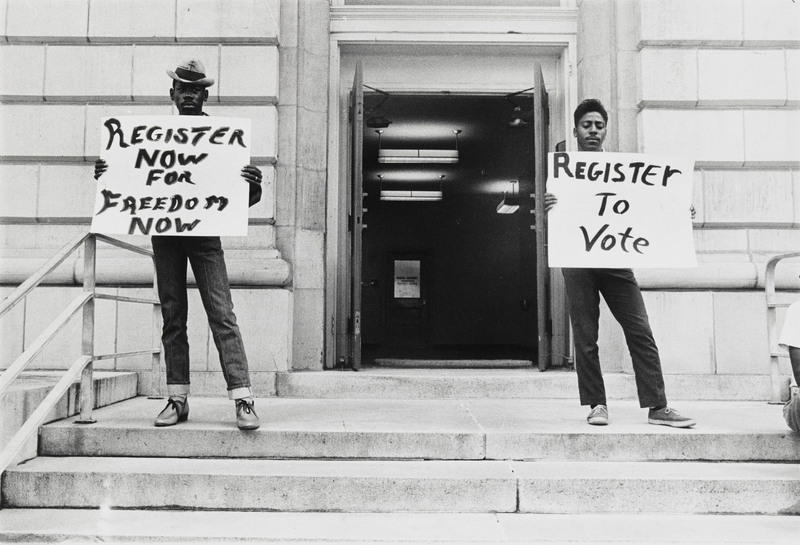 There, SNCC executive director James Forman recruited Lyon to be the organization’s first official photographer, based out of its Atlanta headquarters. 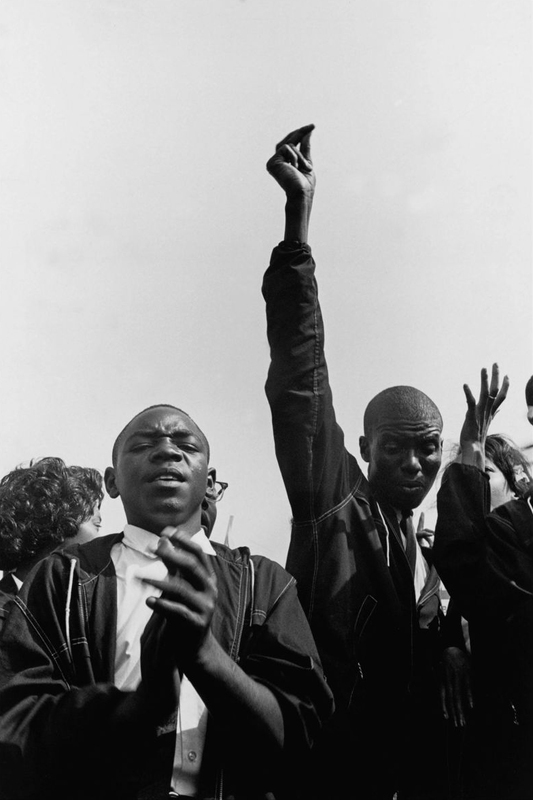 Traveling throughout the South with SNCC, Lyon documented sit-ins, marches, funerals, and violent clashes with the police, often developing his negatives quickly in makeshift darkrooms. 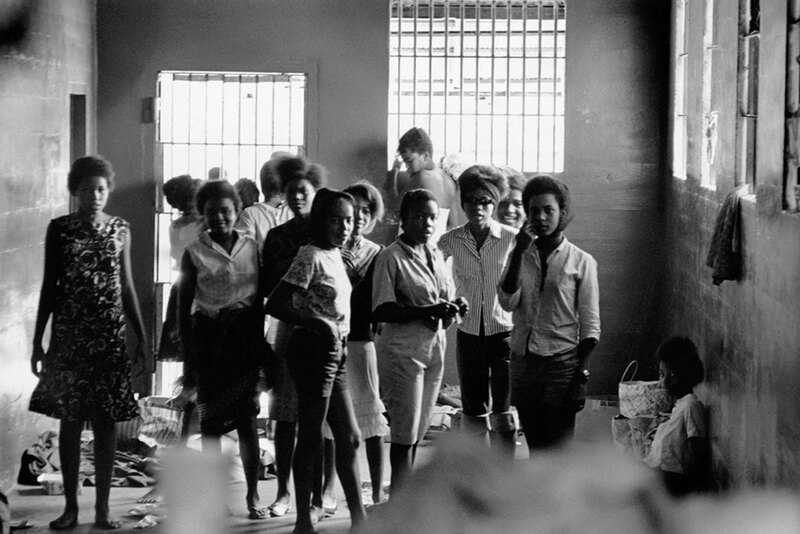 In 1967, Lyon applied to the Texas Department of Corrections for access to the state prisons. 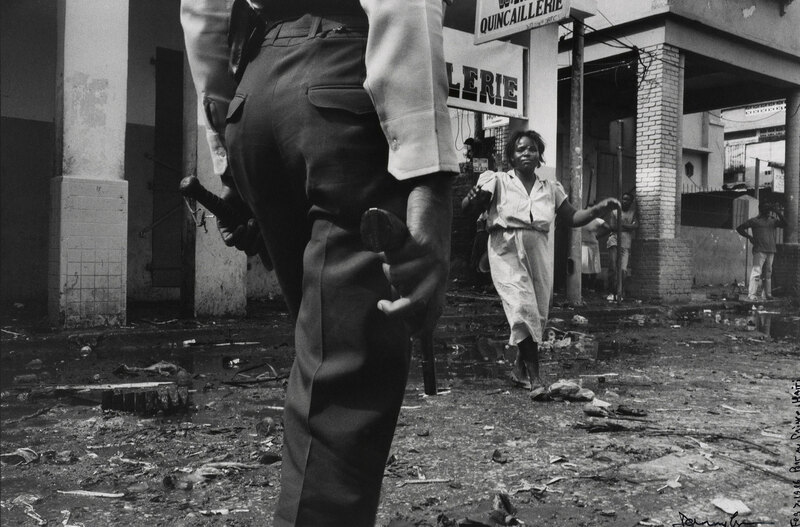 Dr. George Beto, then director of the prisons, granted Lyon the right to move freely among the various prison units, which he photographed and filmed extensively over a fourteen-month period. 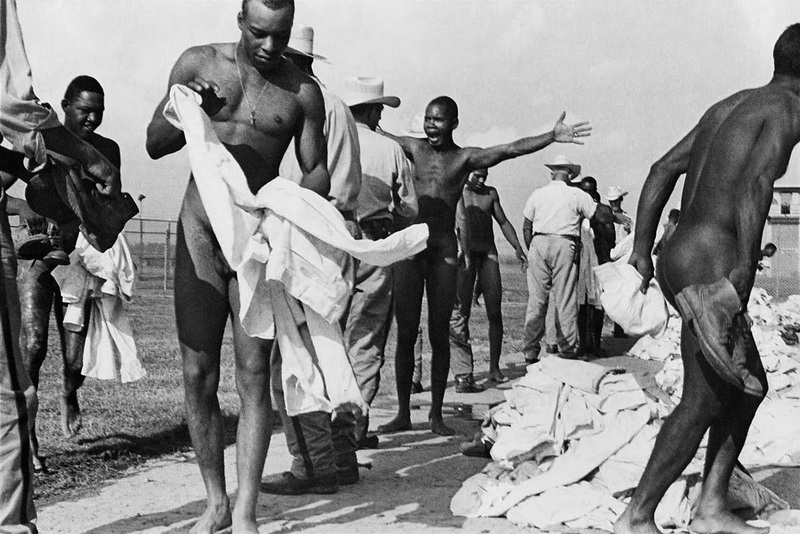 The result is a searing record of the Texas penal system and, symbolically, of incarceration everywhere. 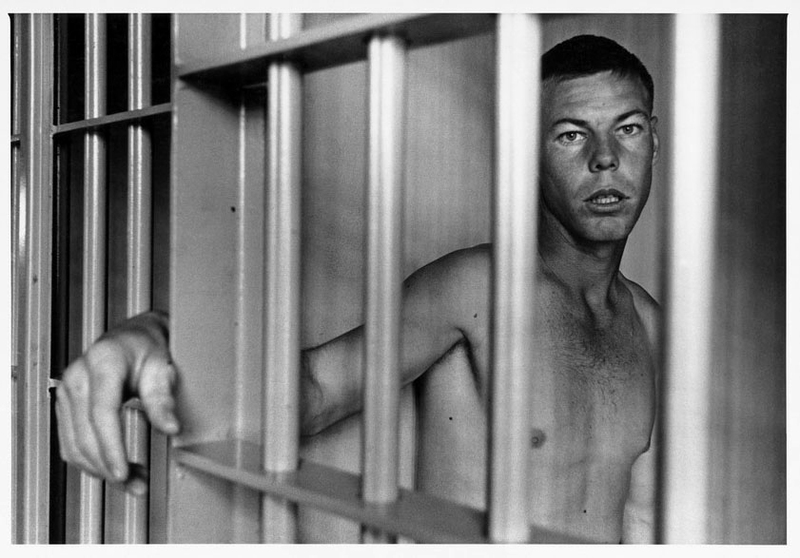 Lyon’s aim was to “make a picture of imprisonment as distressing as I knew it to be in reality.” This meant riding out to the fields to follow prisoners toiling in the sun, as well as visiting the Wynne Treatment Centre, which housed primarily convicts with mental disabilities. He befriended many of the prisoners, listening to their stories and finding the humanity in their experiences, and still maintains contact with some of them. 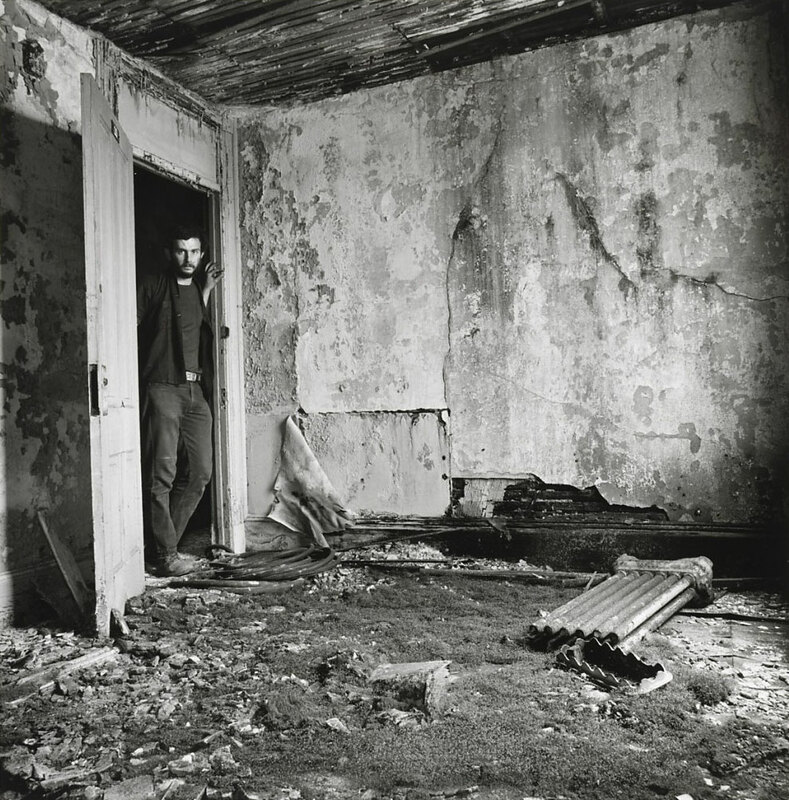 Moving from the outside of the buildings to their deserted interiors, Lyon also took pictures of the workers involved in the demolition. 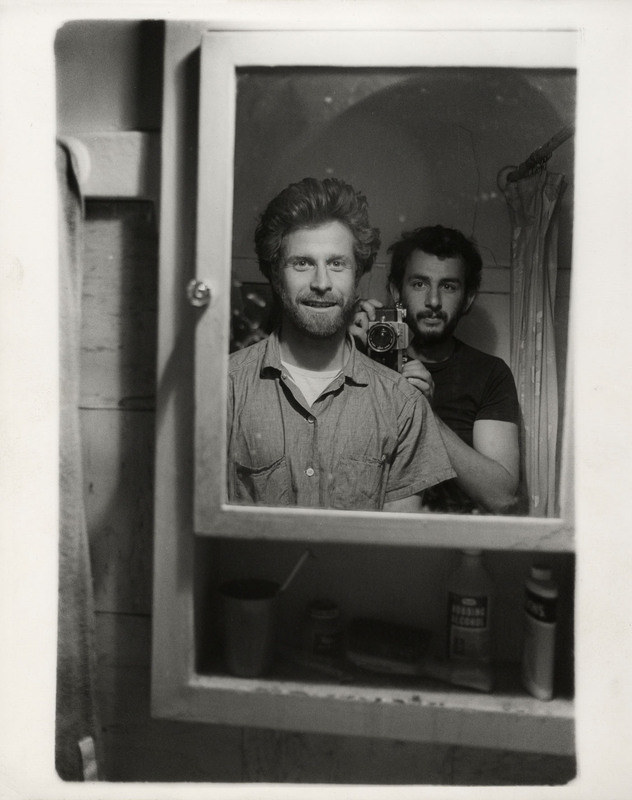 The photographs, together with Lyon’s journal entries, became a book, published by Macmillan in 1969 and dedicated to his close friend, sculptor Mark di Suvero. The volume’s significance lies in part in its depiction of a city – and, more broadly, a culture – cannibalizing its own architectural history for the sake of development. 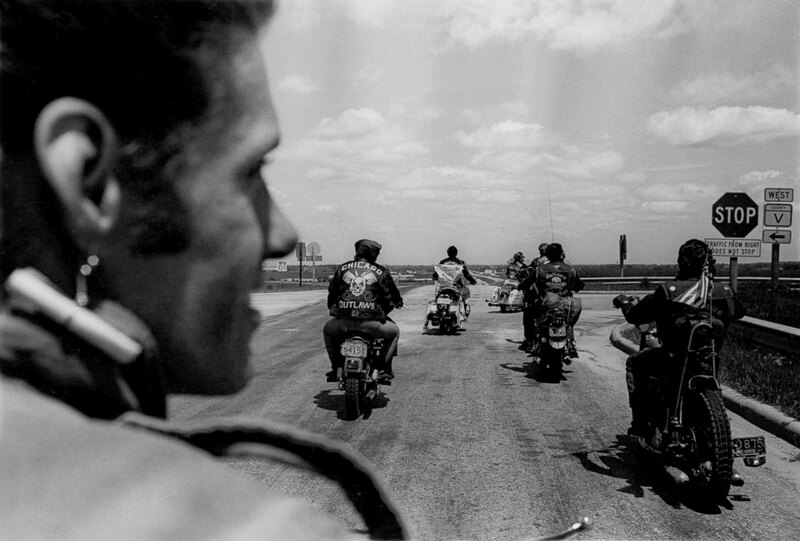 Lyon purchased his first motorcycle – a 1953 Triumph TR6 – in 1962, after spending weekends watching college friend and motorcycle racer Frank Jenner compete at informal dirt track races across the Midwest. 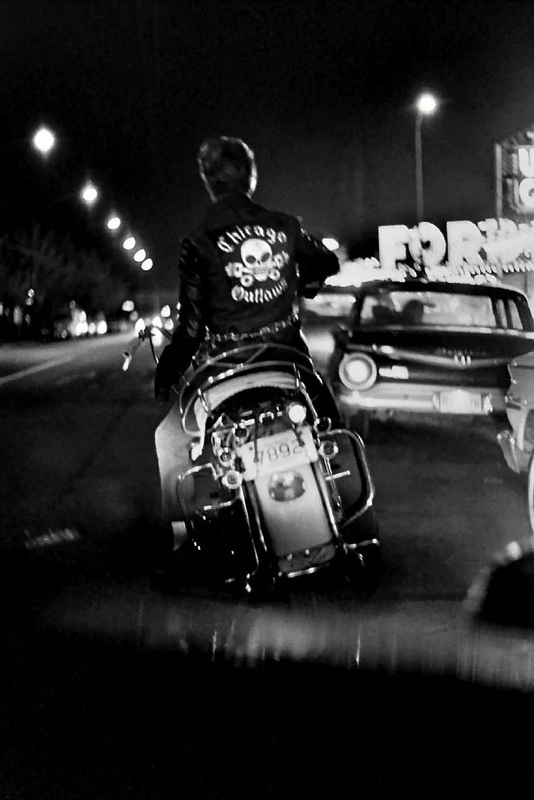 When he returned to Chicago in 1965 after leaving SNCC, Lyon joined the hard-riding, hard-drinking Chicago Outlaws Motorcycle Club and began making photographs with a goal to “record and glorify the life of the American bike rider.” With clubs like the Hells Angels making headlines for their criminal and vigilante activities at the time, bikeriders were simultaneously feared for their anarchism and romanticized for their independence. 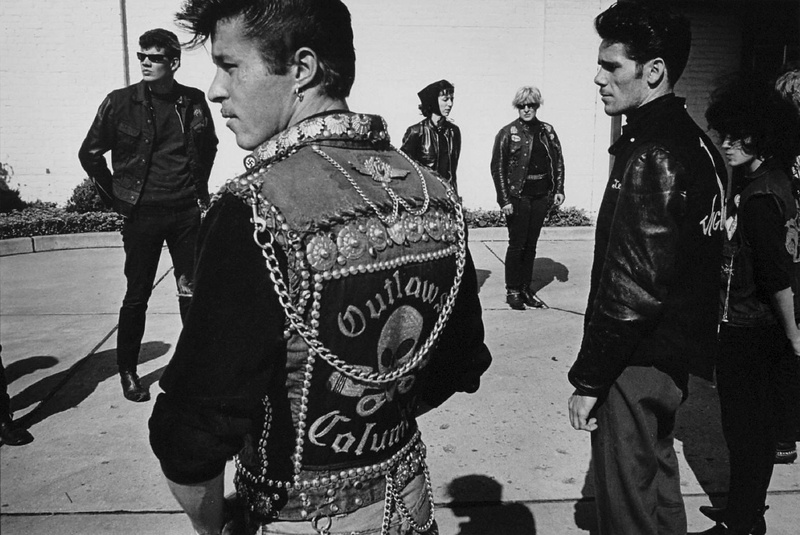 Riding with the Outlaws, Lyon attempted to capture their way of life from the inside out. 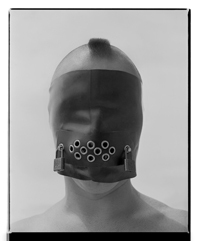 Their unapologetic pursuit of freedom and libertine pleasures compelled him to get close to them as people. 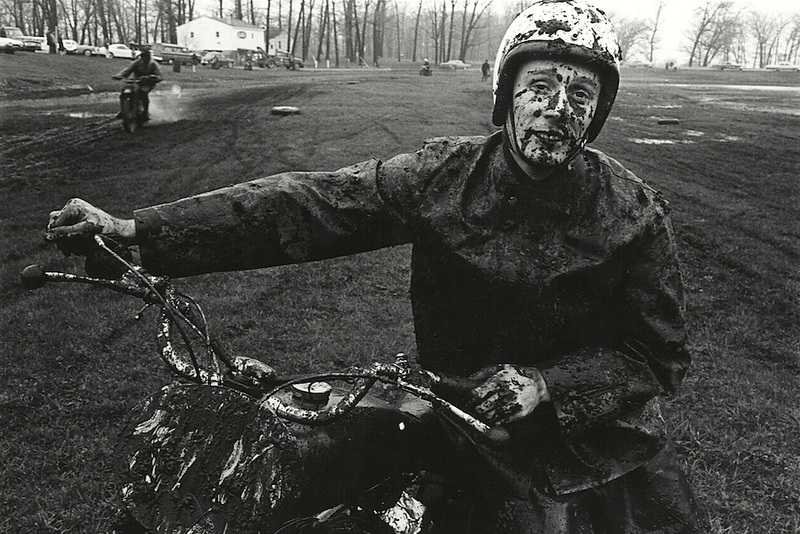 Lyon’s images are intimate and familiar, whether taken during rides or at clubhouse meetings. 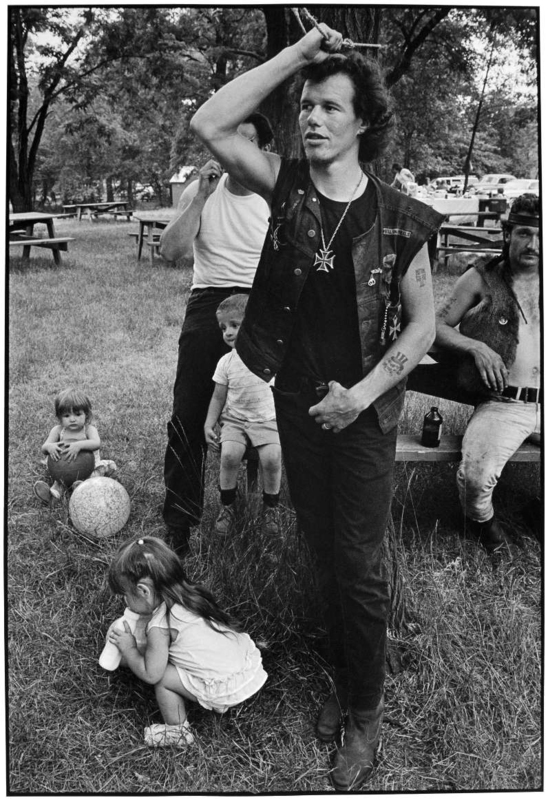 He also used a tape recorder to document the bikers speaking for themselves, unobtrusively capturing their collective voice. 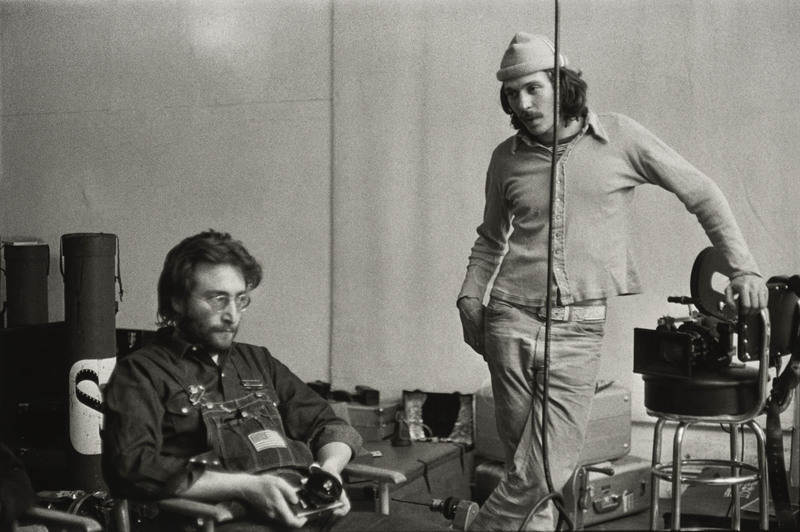 The resulting photographs were gathered into the now classic book of the same name, published in 1968, combining his pictures with an edited transcription of the interviews. Lyon headed west from New York in 1969. Tired of the hectic pace of the big city and in search of new surroundings, he settled in Sandoval County, New Mexico. He developed a great admiration for the region’s close knit communities of Native Americans and Chicanos. 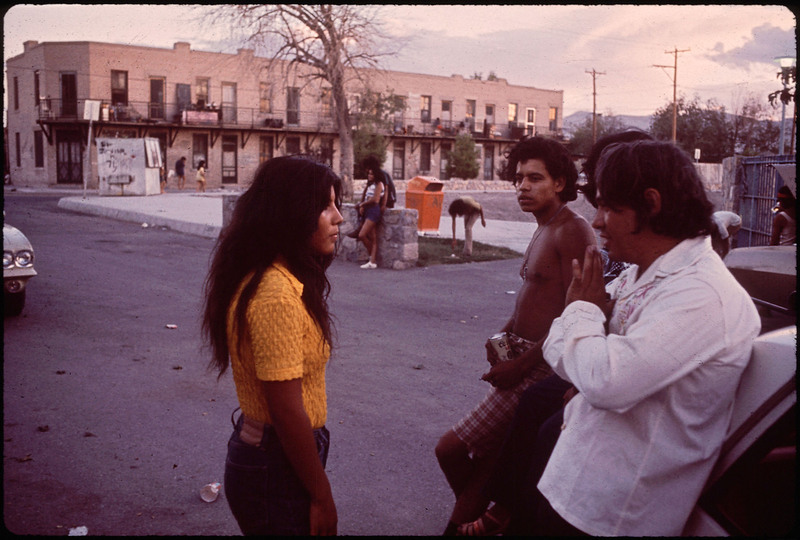 Lyon’s photographs and, increasingly, his films reflected his growing understanding of the cross-cultural flow between these disparate groups and how they interacted with the geography of the Southwest. With the help of his good friend, a migrant laborer named Eduardo Rivera Marquez, Lyon built a traditional adobe home for his family in Bernalillo, in the Rio Grande Valley just north of Albuquerque. As Lyon’s family grew, his children also became a frequent subject, often depicted against the dramatic Western landscape. 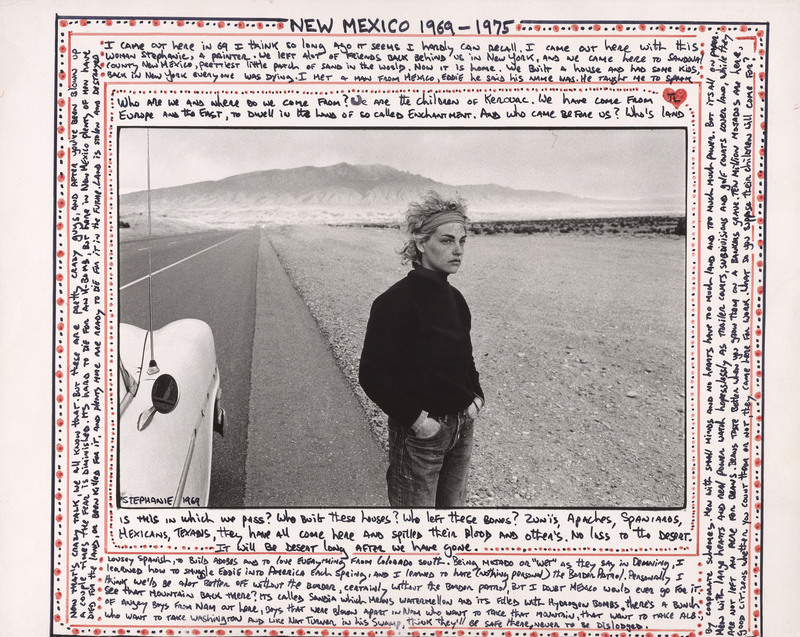 Though Lyon moved back to New York in 1980, New Mexico would remain a center of gravity for the artist, who returned every summer with his family to photograph and make films. 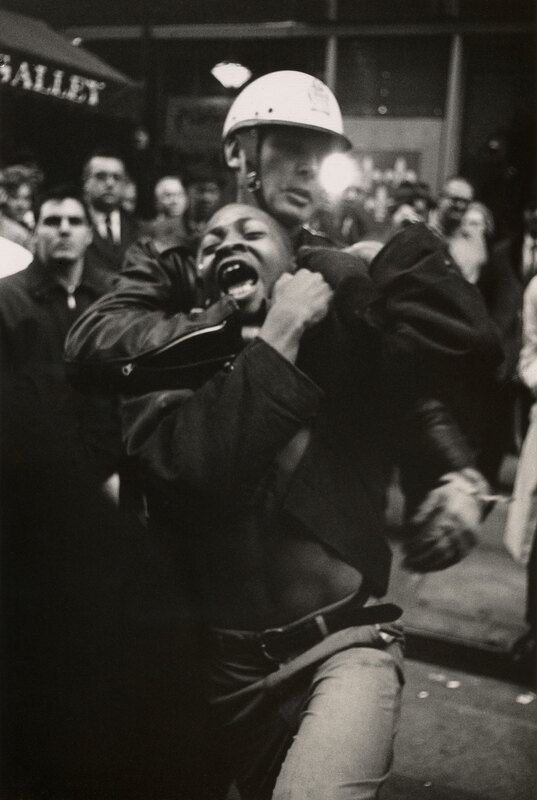 Lyon started making 16mm films in earnest in the 1970s, focusing on marginalized communities and injustice as he had in his photographs. 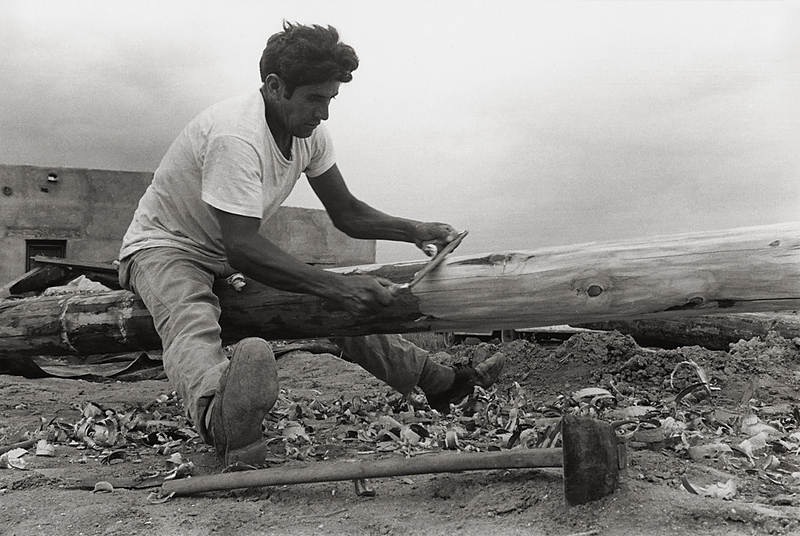 His subjects included Colombian street kids in Los Niños Abandonados (1975) and undocumented workers from Mexico in El Mojado (1974) and El Otro Lado (1978). 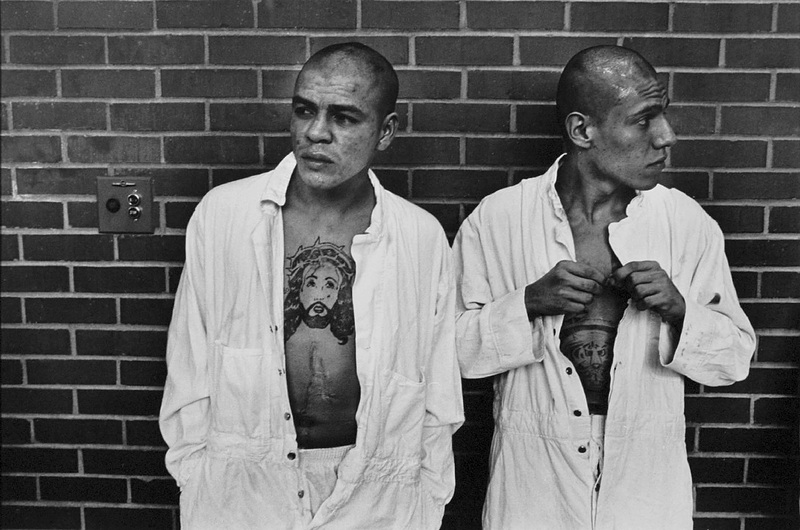 Lyon has explained that after leaving the Texas prisons he struggled to move forward, feeling that there were “no more worlds to conquer” in creating photography books. Filmmaking became the means by which he could continue to make sense of the beauty and inequality he saw in the world around him. Lyon did not give up photography completely, however. 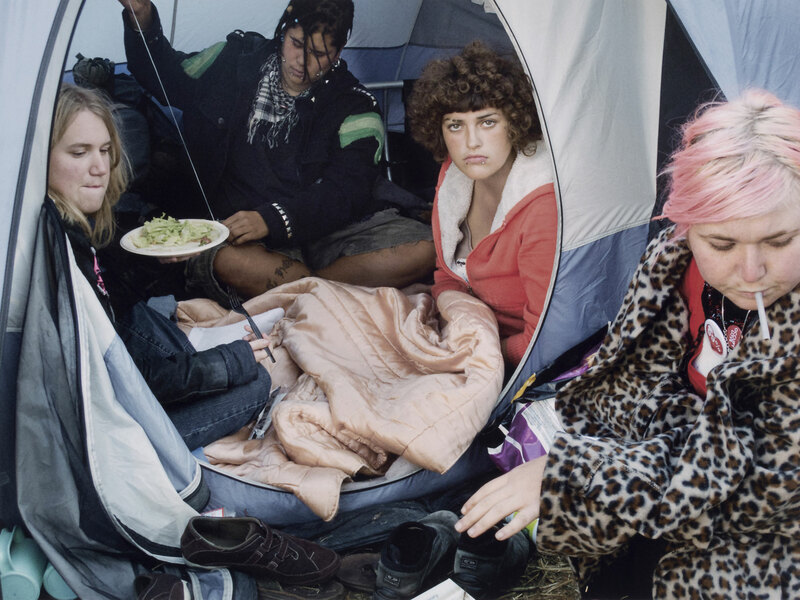 He turned to assembling family albums and creating collaged works that he describes as montages, referencing the filmmaking practice of juxtaposing disparate images to form a continuous whole. 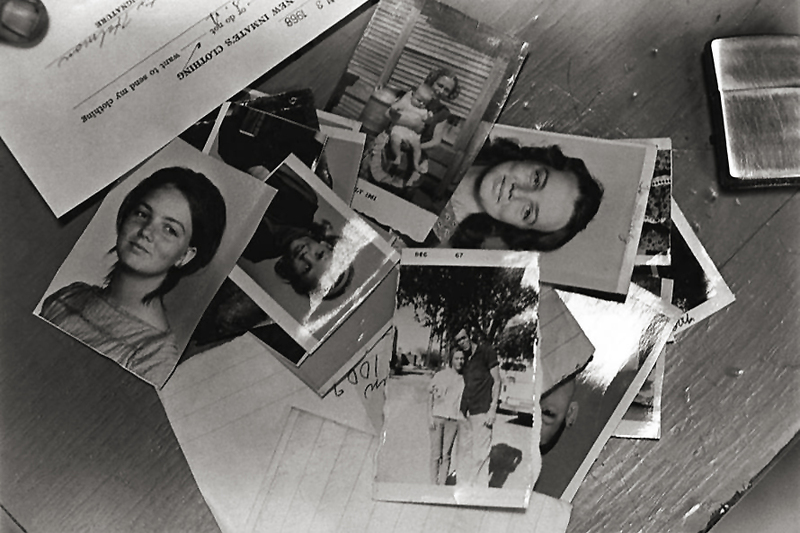 Lyon’s montages combine multiple images and materials sourced from his archives. Initially meant as vehicles for reflection and, in the case of the albums, as family heirlooms, these deeply personal works bridge past generations of his family with his present. Lyon’s homage to his friend, sculptor Mark di Suvero, from footage shot in 1965 and 1975. 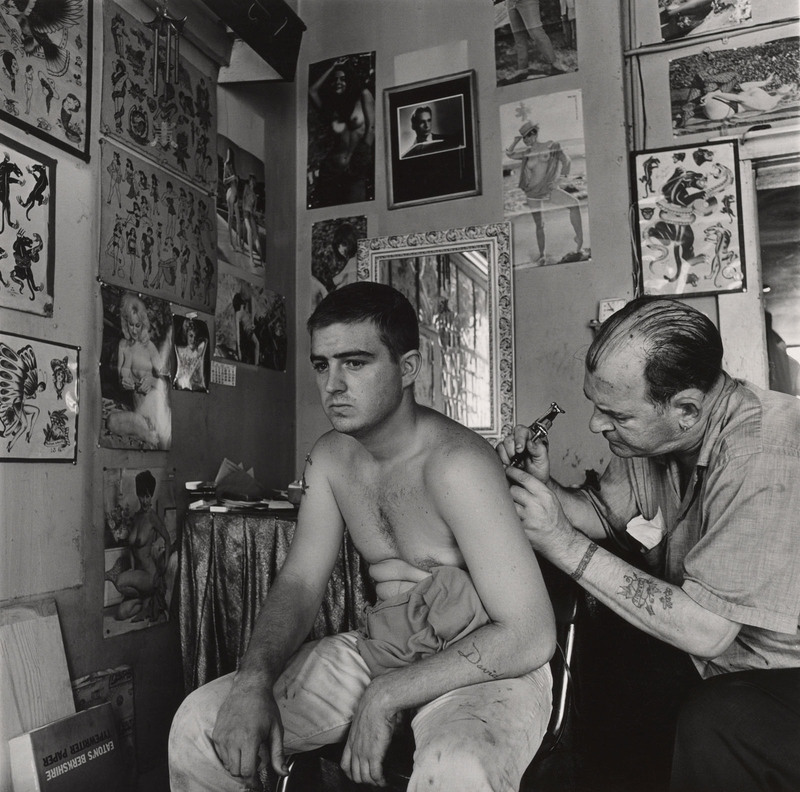 A comedy – Danny Lyon’s first film with the late great Bill Sanders and his “painless” tattoo shop. 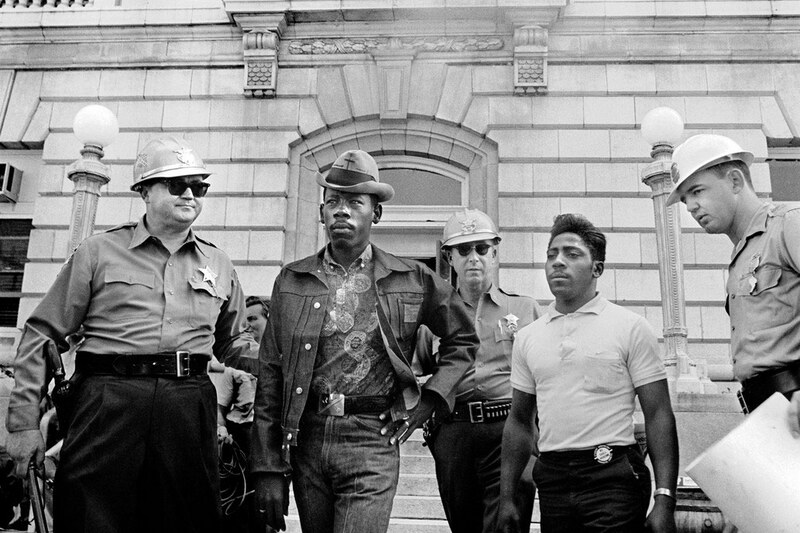 Defiantly individual and implaccable in the face of authority, Willie is repeatedly thrown into jail for relatively minor offenses. The filmmakers gain access to jail cells, day rooms, lunatic wards, and the worst cellblock in the penitentiary where Willie is locked up next to his childhood friend and convicted murderer, Michael Guzman. 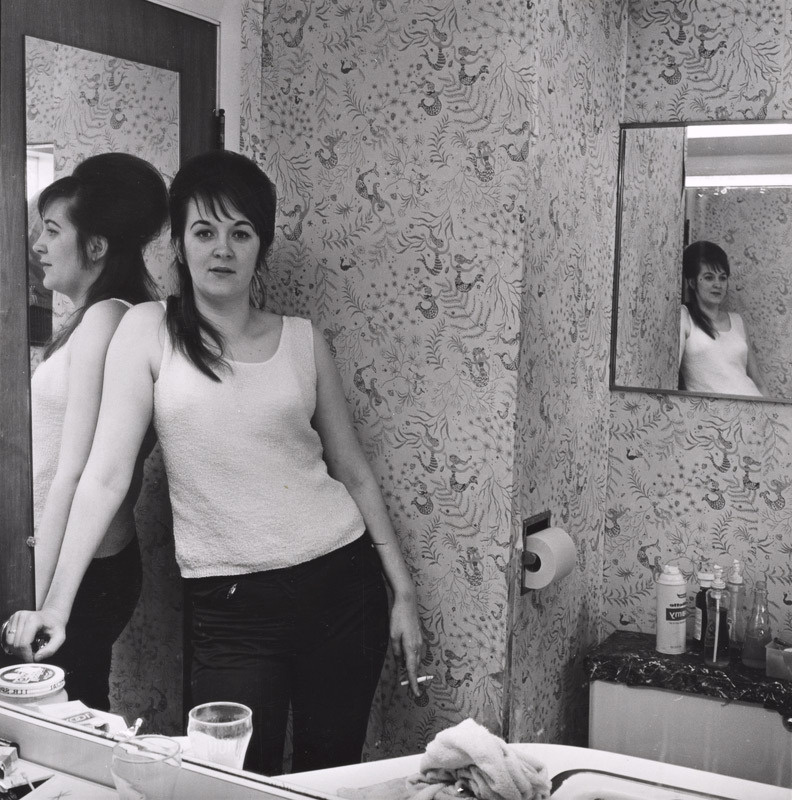 “The most comprehensive retrospective of the work of American photographer, filmmaker, and writer Danny Lyon in twenty-five years debuted at the Whitney on June 17, 2016. 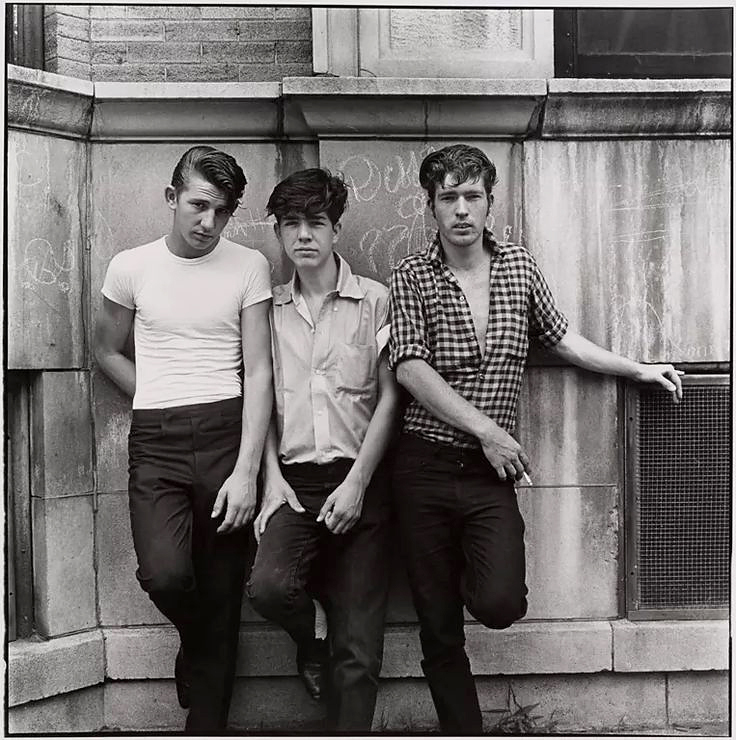 The first major photography exhibition to be presented in the Museum’s downtown home, Danny Lyon: Message to the Future is organized by the Fine Arts Museums of San Francisco, where it will make its West Coast debut at the de Young Museum on November 5, 2016. 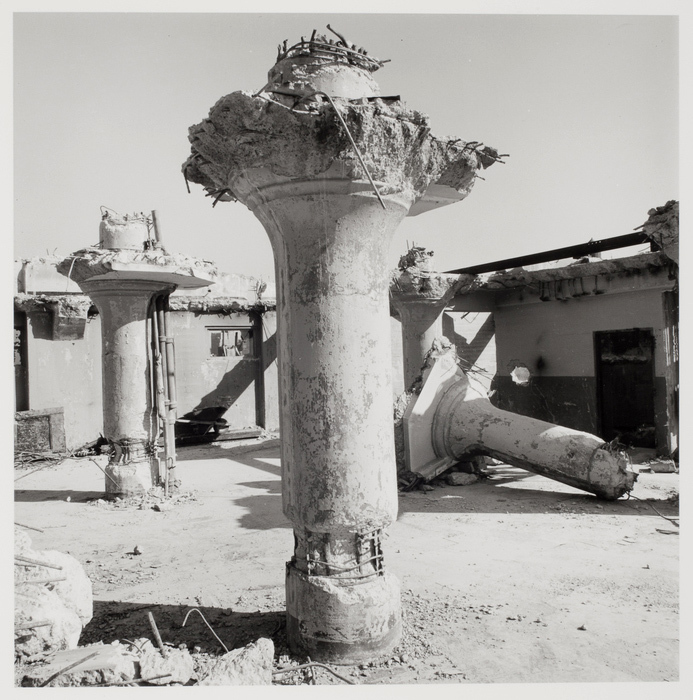 The exhibition assembles approximately 175 photographs and is the first to assess the artist’s achievements as a filmmaker as well as a photographer. 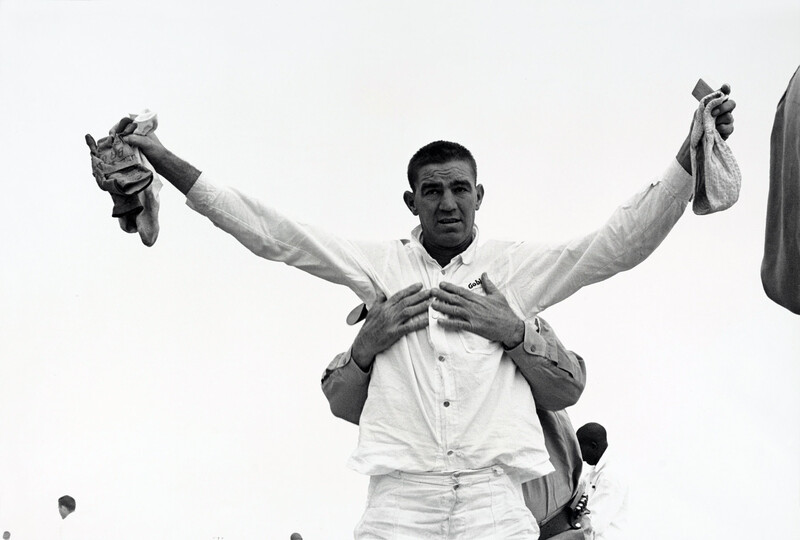 The presentation also includes many objects that have seldom or never been exhibited before and offers a rare look at works from Lyon’s archives, including vintage prints, unseen 16mm film footage made inside Texas prisons, and his personal photo albums. 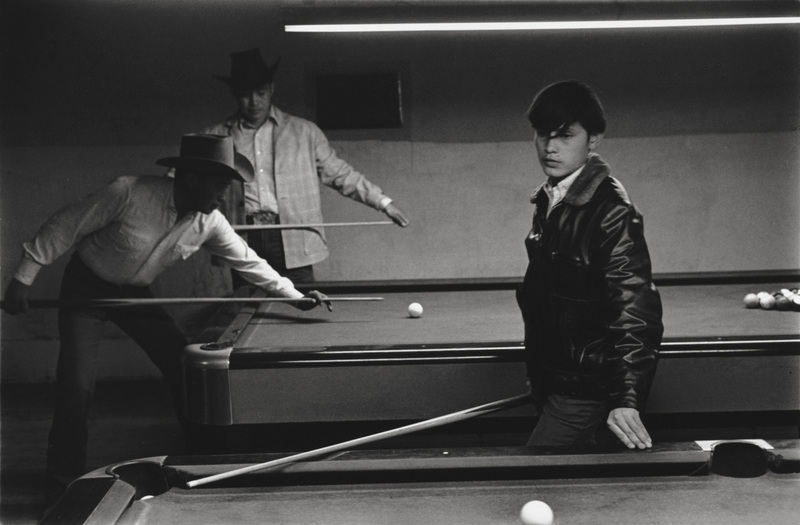 A leading figure in the American street photography movement of the 1960s, Lyon has distinguished himself by the personal intimacy he establishes with his subjects and the inventiveness of his practice. 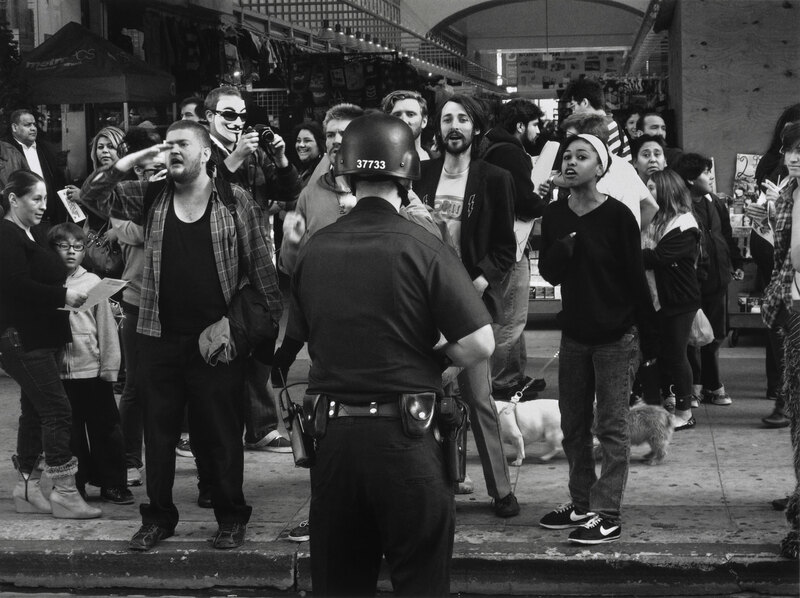 With his ability to find beauty in the starkest reality, Lyon has presented a charged alternative to the vision of American life presented in the mass media. Throughout, he has rejected the traditional documentary approach in favor of a more immersive, complicated involvement with his subjects. “You put a camera in my hand,” he has explained, “I want to get close to people. Not just physically close, emotionally close, all of it.” In the process he has made several iconic bodies of work, which have not only pictured recent history, but helped to shape it. 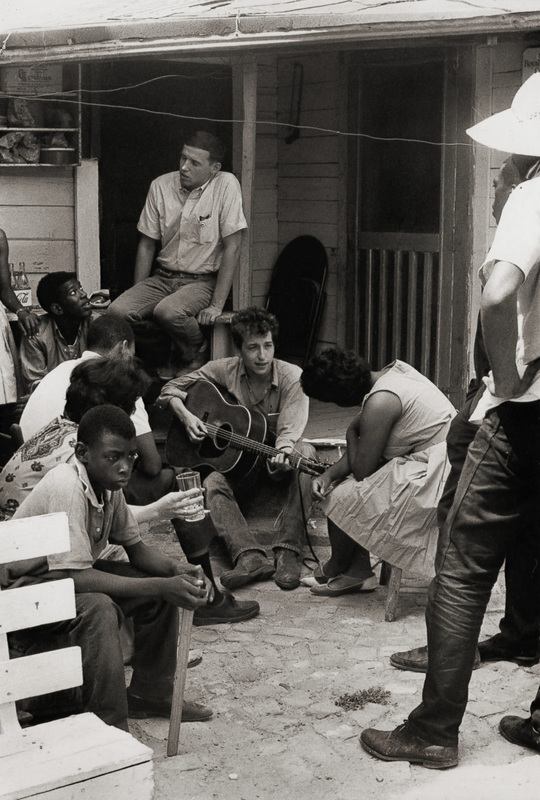 In 1962, while still a student at the University of Chicago, Lyon hitchhiked to the segregated South to make a photographic record of the Civil Rights movement. 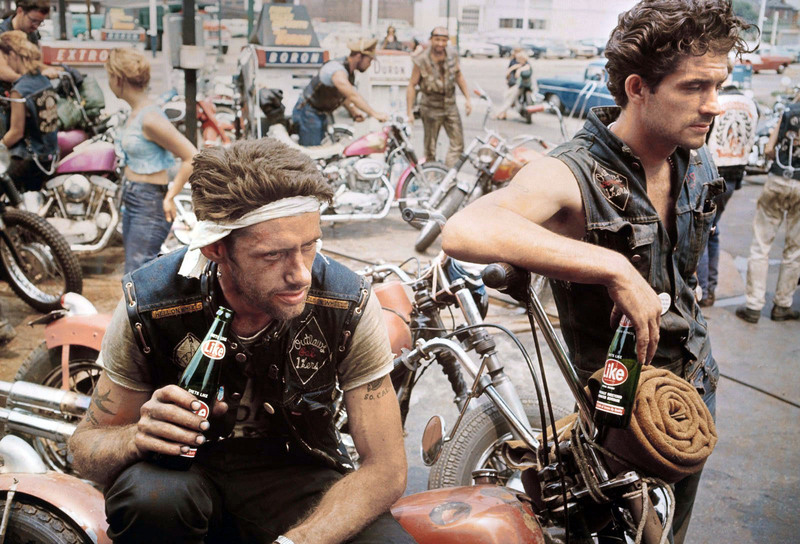 His other projects have included photographing biker subcultures, exploring the lives of individuals in prison, and documenting the architectural transformation of Lower Manhattan. Lyon has lived for years in New Mexico, and his commitment to personal adventure has taken him to Mexico and other countries in Latin America, China, and the less-traveled parts of the American West. 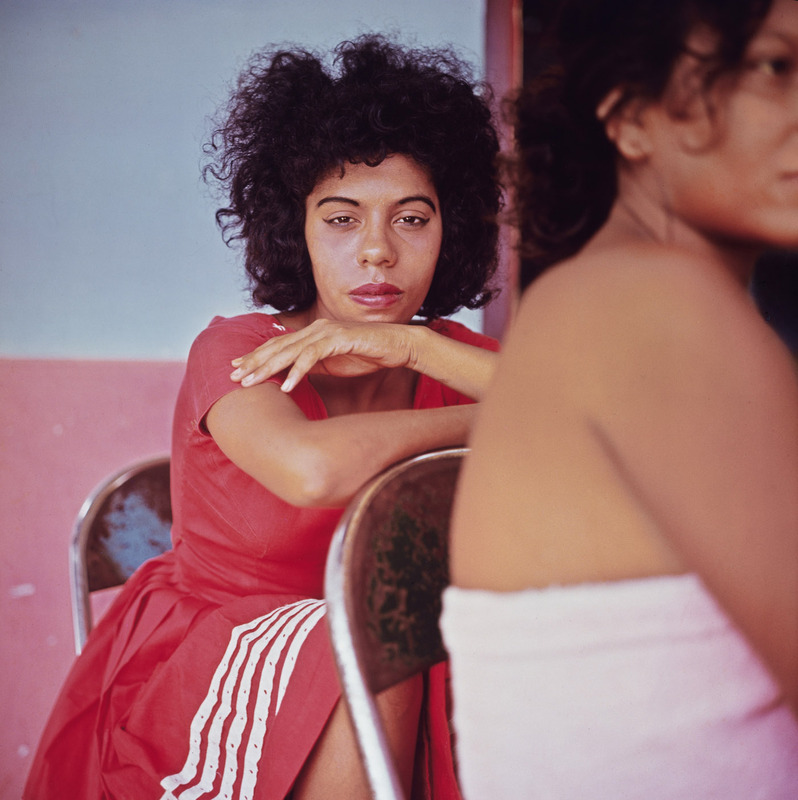 Lyon’s first encounter with Latin America was through a trip to Colombia in February 1966, during which he photographed extensively in and around Cartagena. 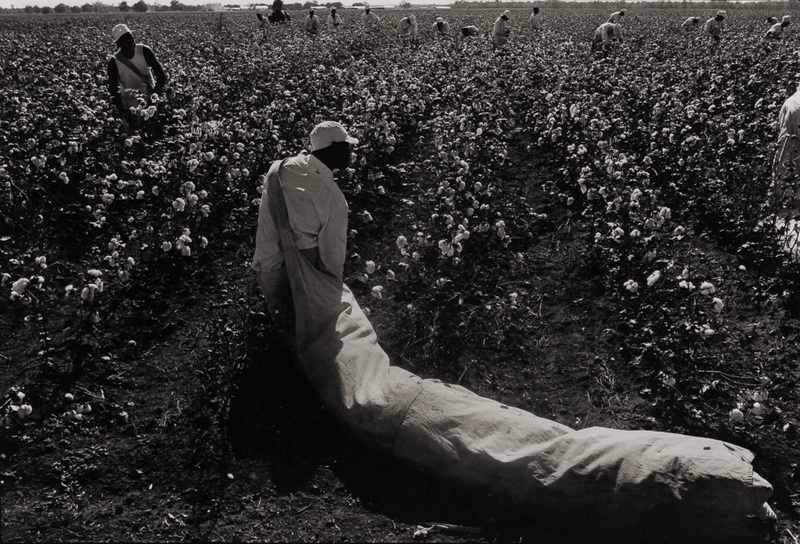 In the 1970s and 1980s, Lyon’s self-described “advocacy journalism” took him to Bolivia, where he captured the hard lives of rural miners; Mexico, where he photographed undocumented workers moving back and forth across the U.S.-Mexico border; back to Colombia, where he made the film Los Niños Abandonados, chronicling the lives of street children; and to Haiti, where he witnessed firsthand the violent revolution overthrowing Jean-Claude Duvalier’s dictatorship.